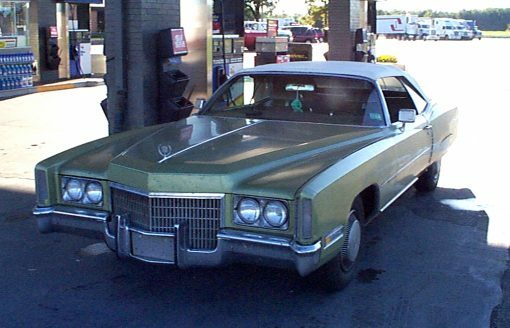 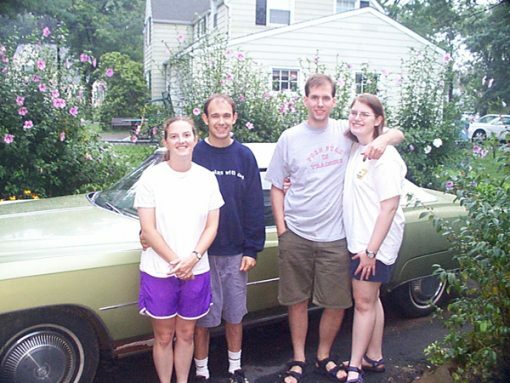 circa 2000: the four of us spent 5 days in this car driving cross country. 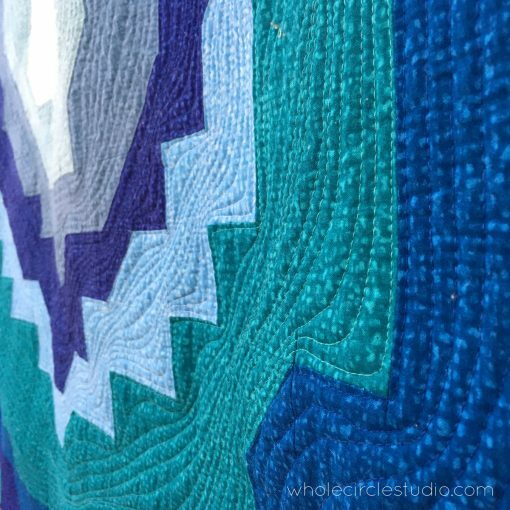 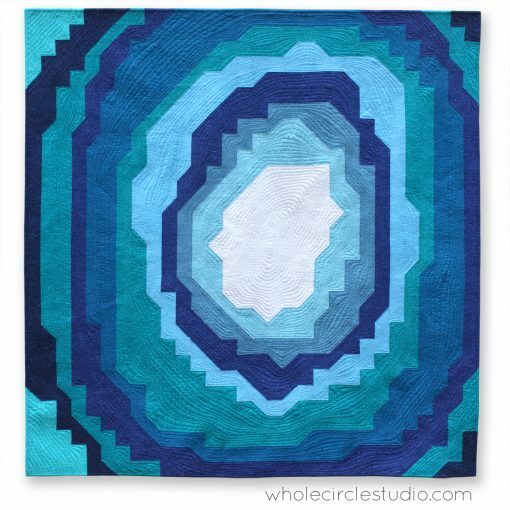 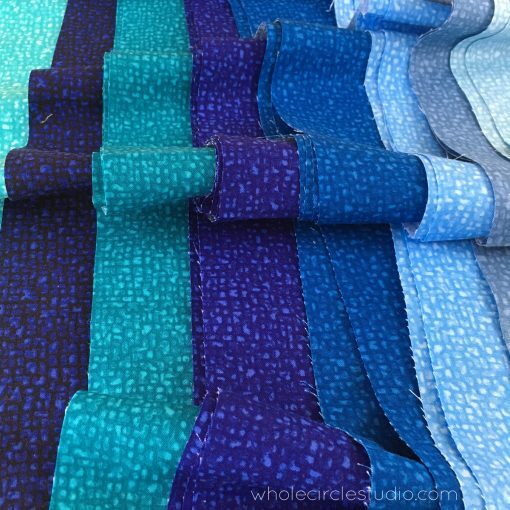 Who would have known that the geode I picked up during that trip would be the inspiration for a quilt pattern 18 years later?!?!? 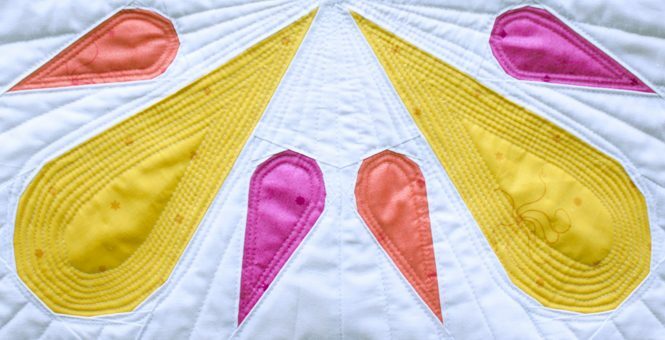 Heck, 18 years ago I didn’t even know how to sew! 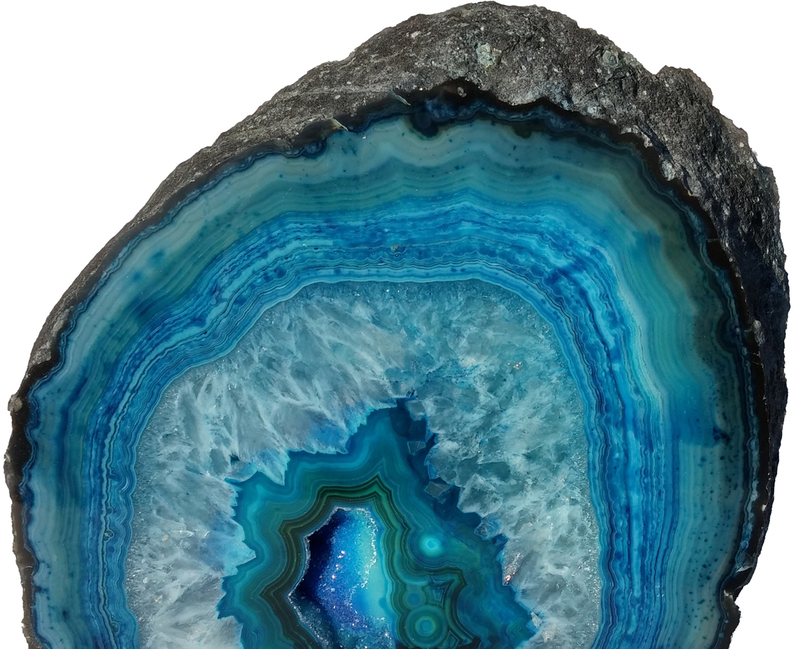 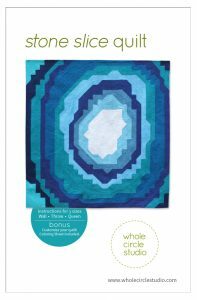 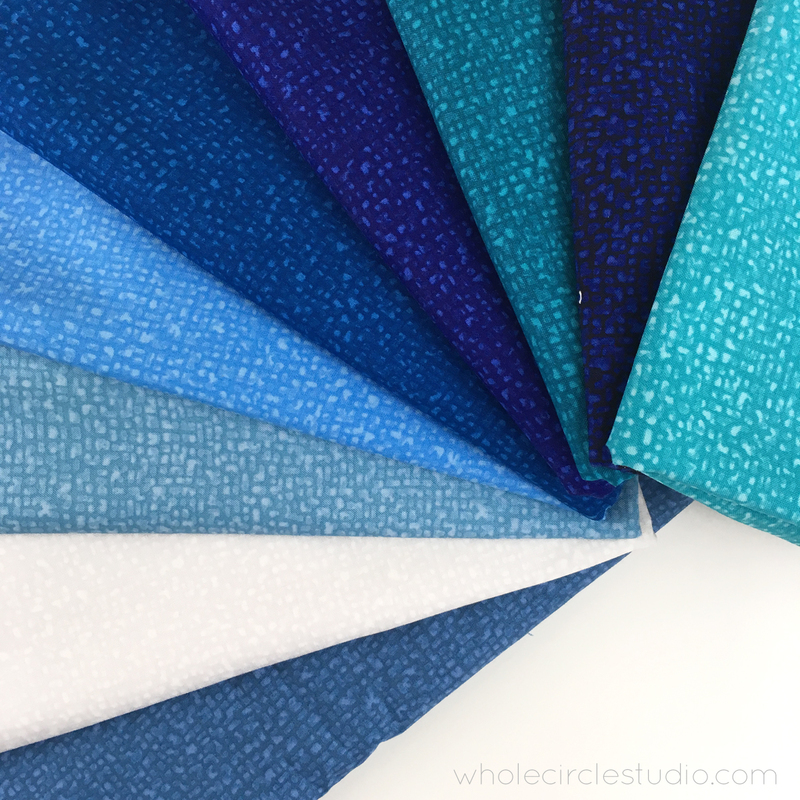 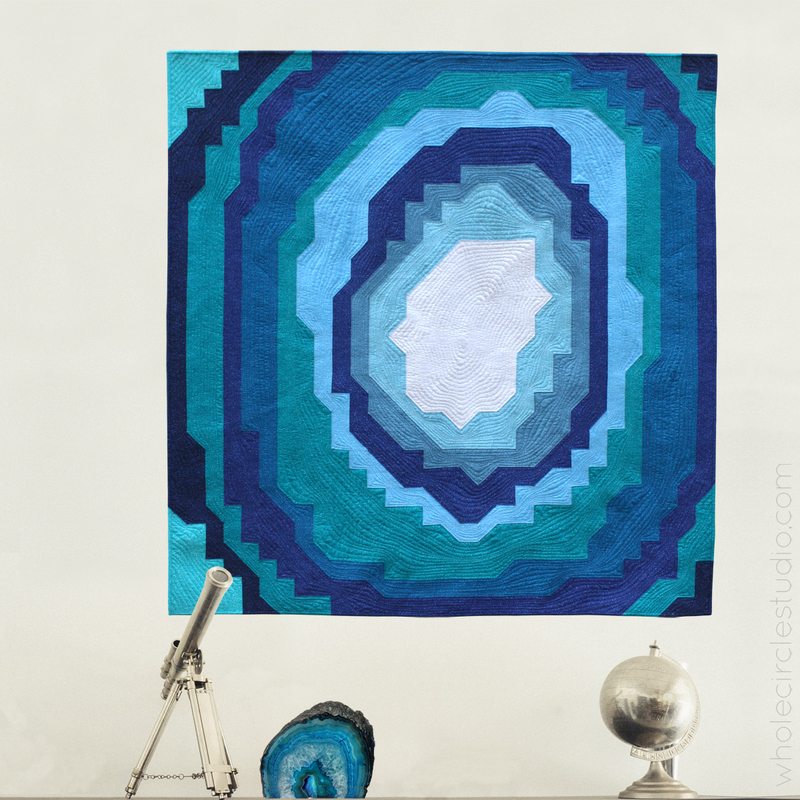 When staff at Windham Fabrics asked me if I wanted to work with their new basic line called, Bedrock, I knew that the fabric was asking to be a quilt inspired my geode bookend. 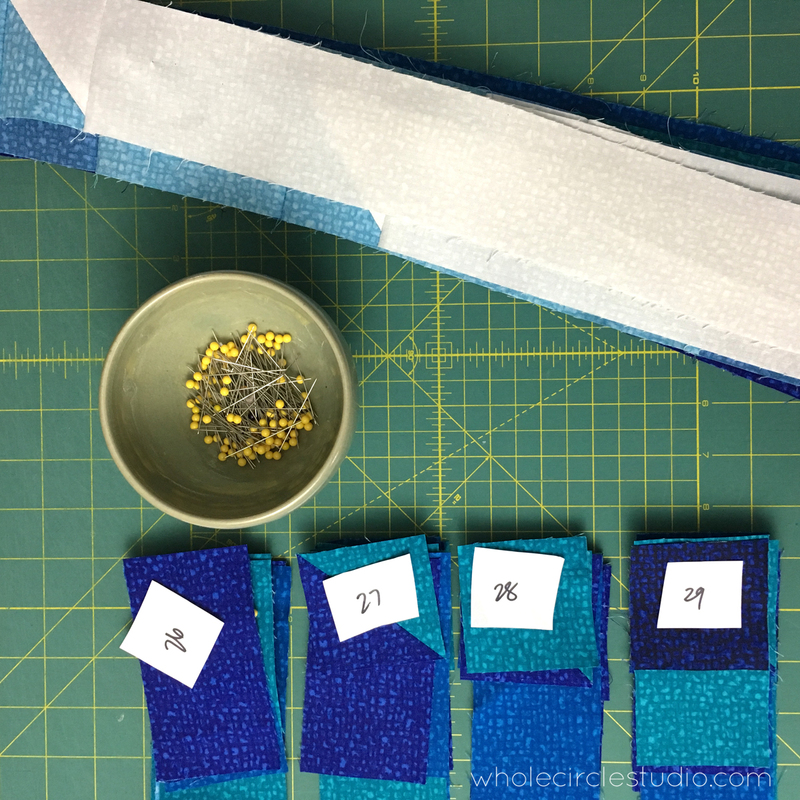 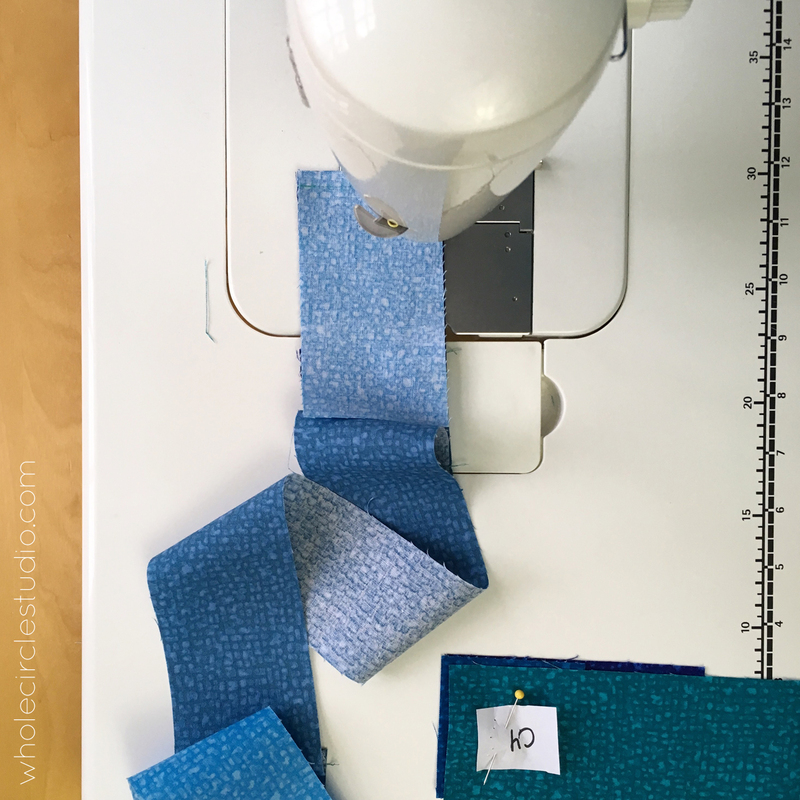 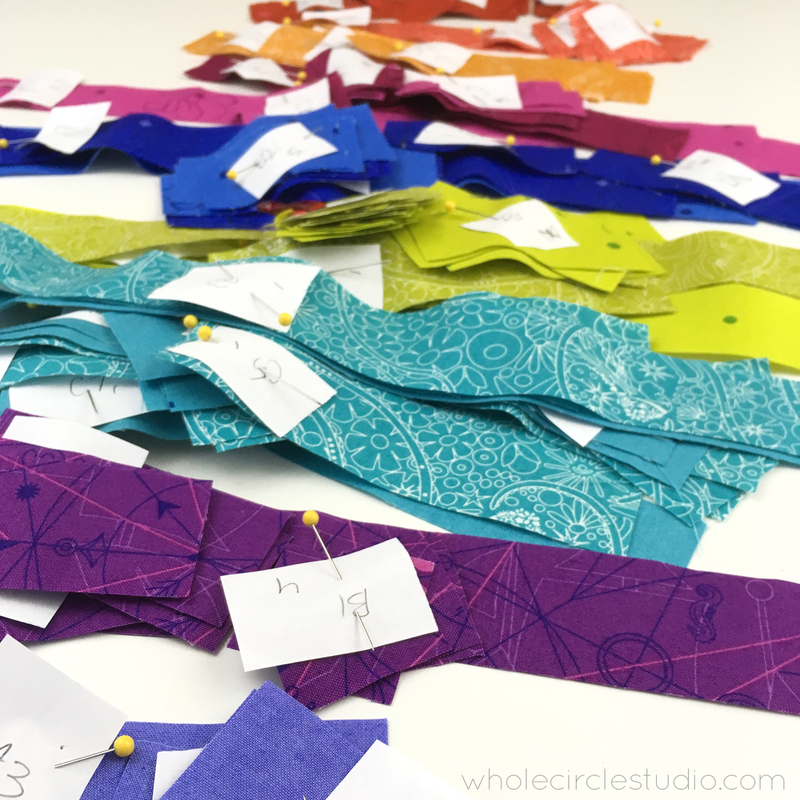 Once the fabrics were selected, it was on to cutting lots of squares and strips. 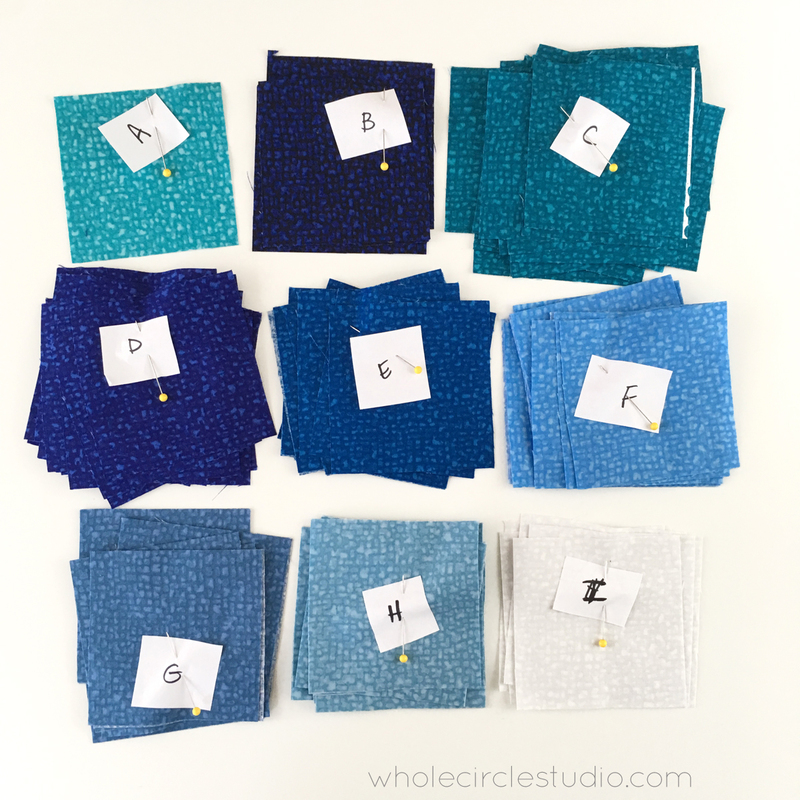 Labeling is key to staying organized! 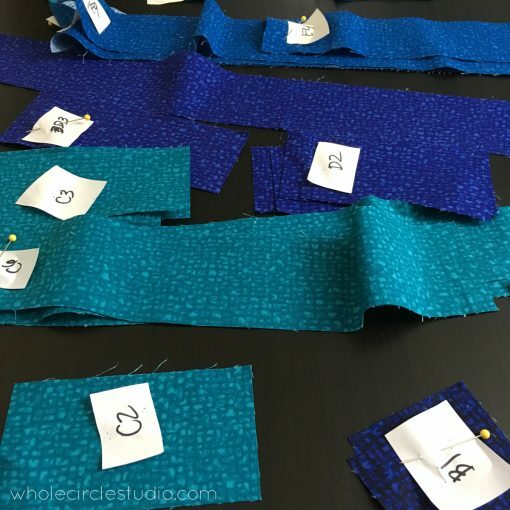 As the strips were sewn, I numbered and labeled (all of this is included in the pattern) so that sewing them together was a breeze. 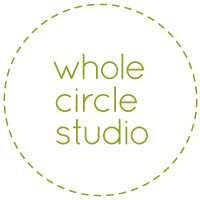 I wanted the quilting to emulate the organic layers found inside a geode soI used my walking foot to quilt wavy lines. 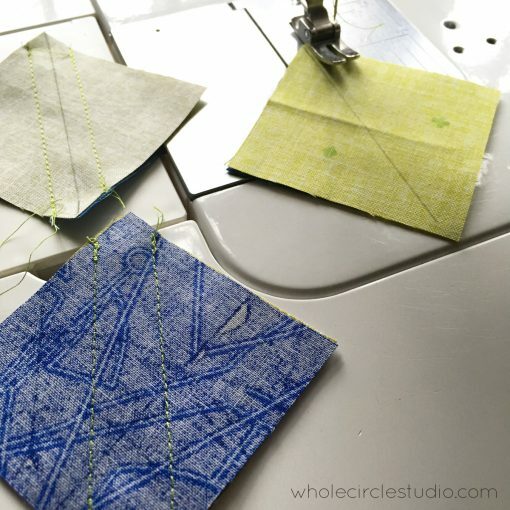 I used a few different blues and white of Aurifl Cotton 50 wt thread to match the fabric. This blue version of Stone Slice is the throw size (60″ x 60″). I give instructions for 3 sizes (wall, throw and queen) in the pattern. 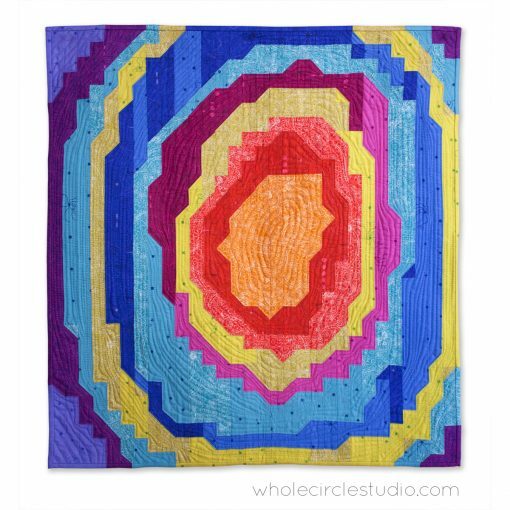 I couldn’t resist making a mini (30″ x 30″), colorful version using Sun Print 2018 by Alison Glass. 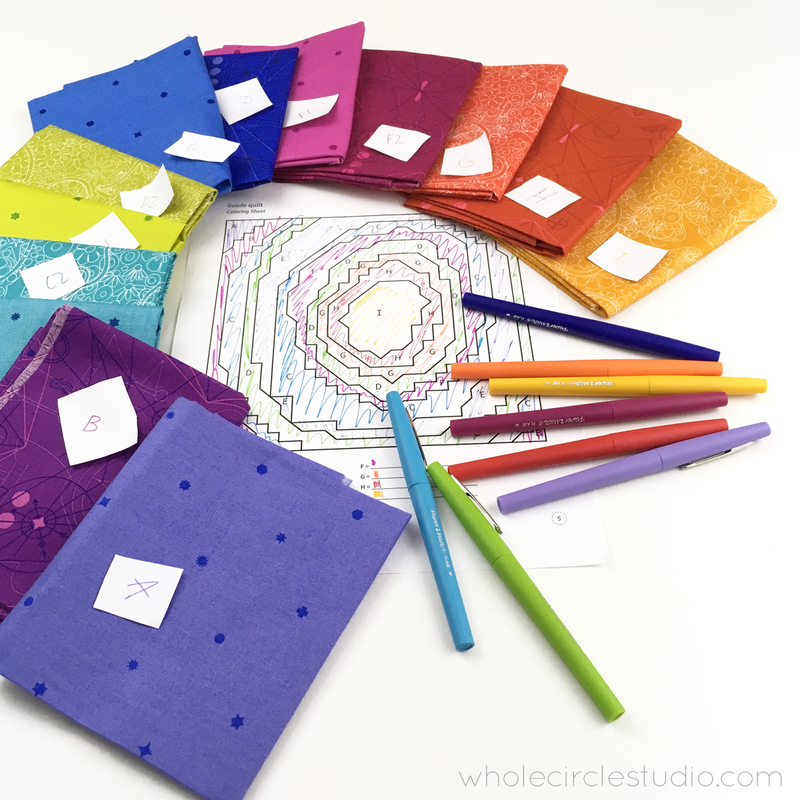 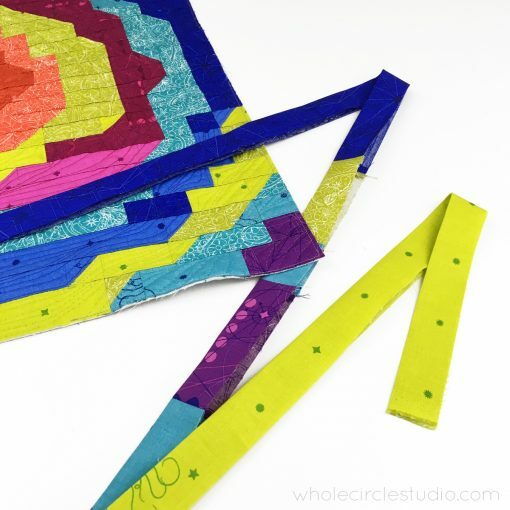 A coloring sheet is included with the pattern so you can customize your color palette to your liking. 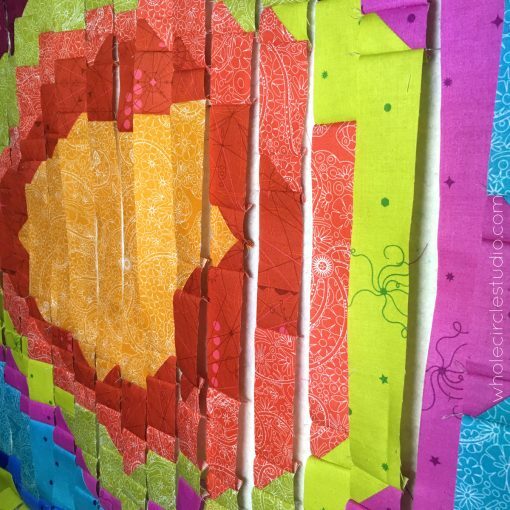 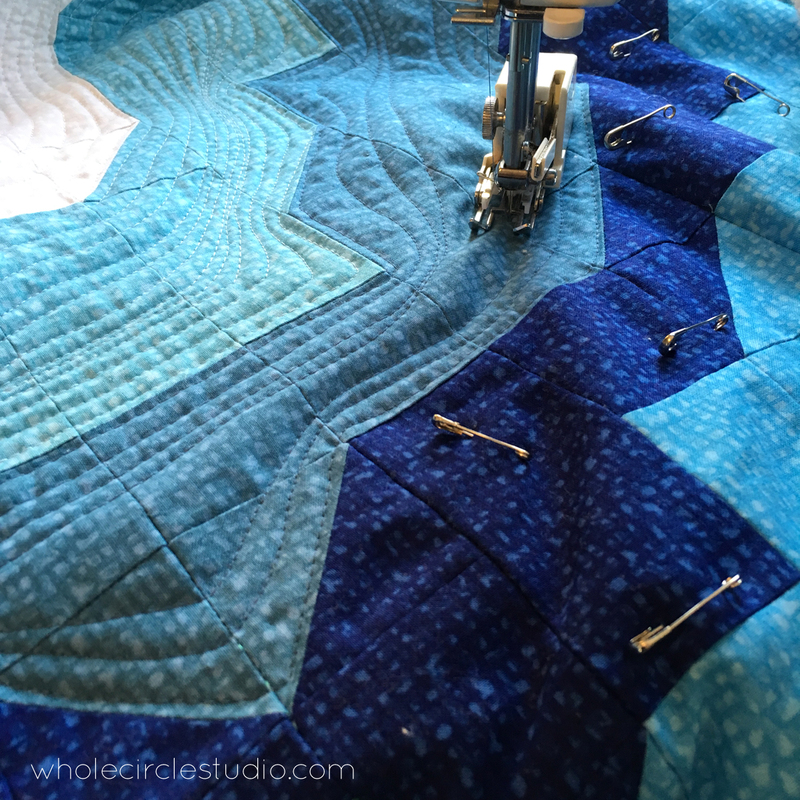 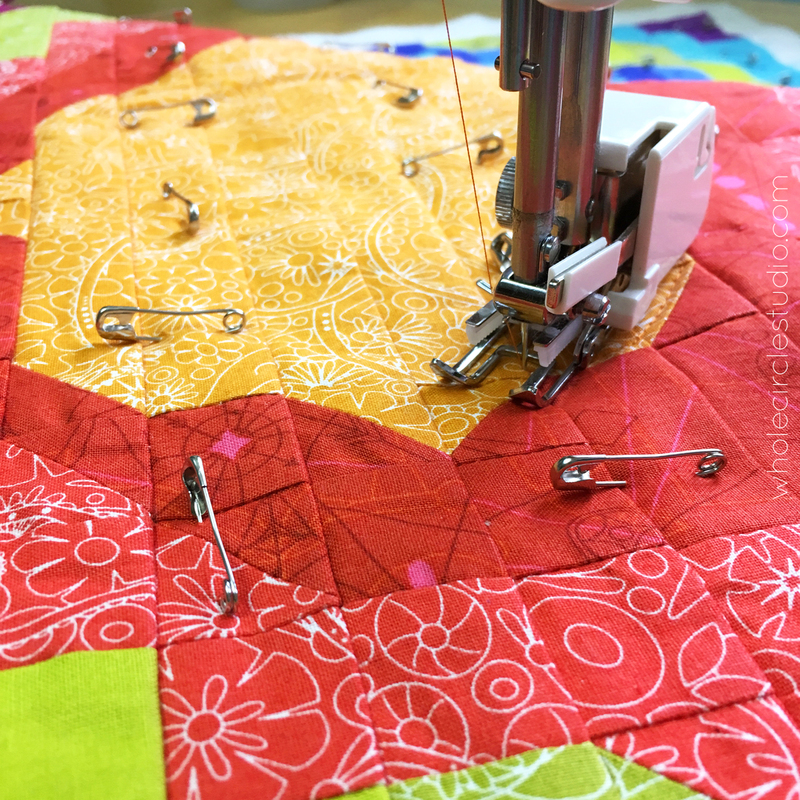 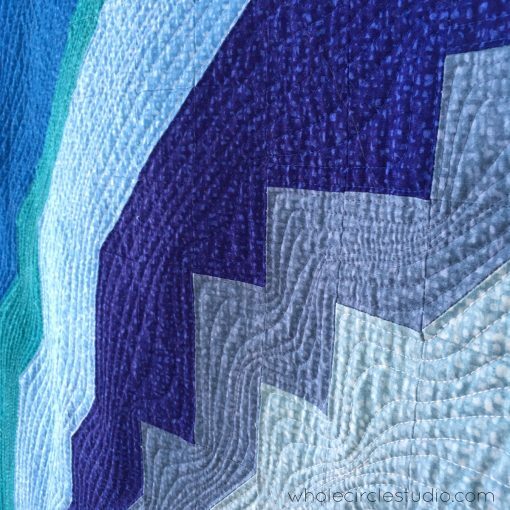 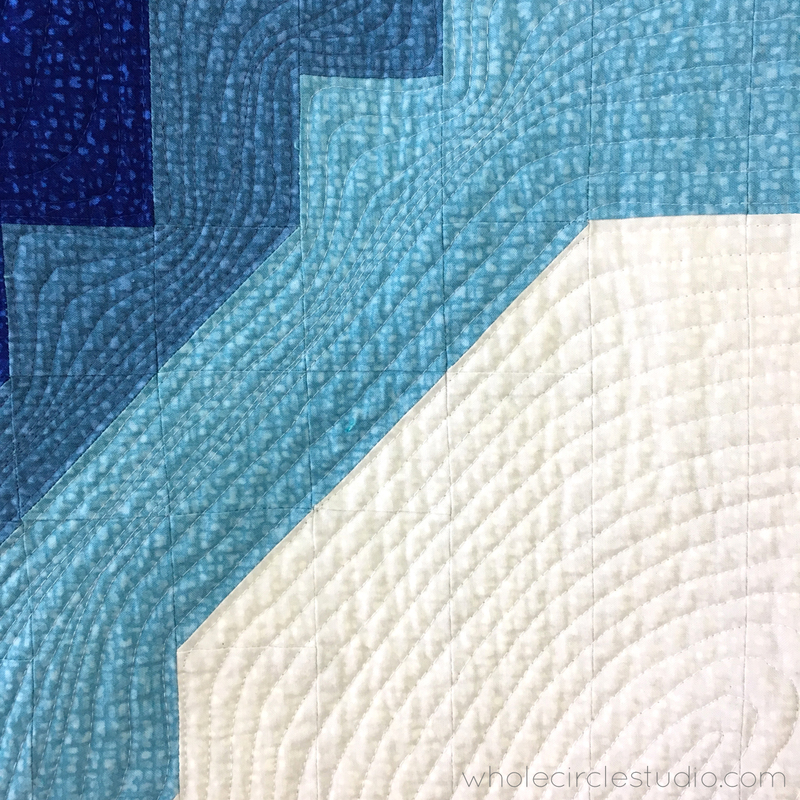 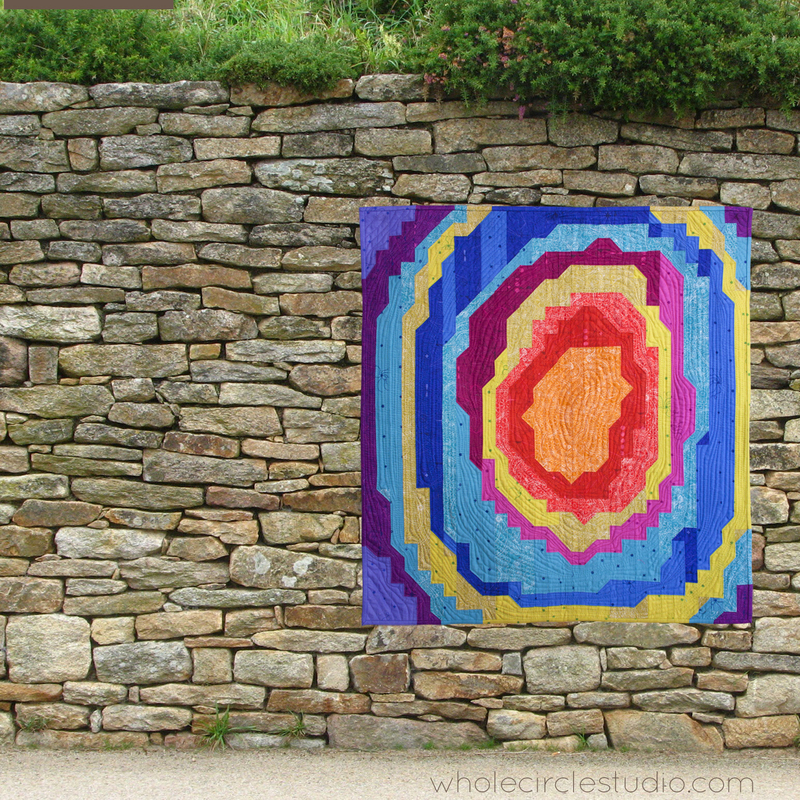 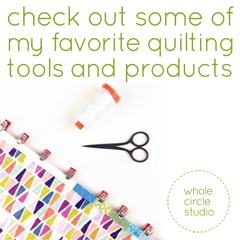 Make your own Stone Slice quilt!